Portable toilet is yet another product form SRG which gives you the solution to all your need for a ready made toilet. Toilet is a basic necessity of any man hence it is required at all places where man goes and SRG gives you a solution for this need. SRG portable toilet is a complete ready to use toilet which have English WC, wash basin, urinal, shower etc. These cabins are fully customized and hence suits to every individual as per his/her requirement. SRG International manufacturing Portable Toilets using the best of the technology. 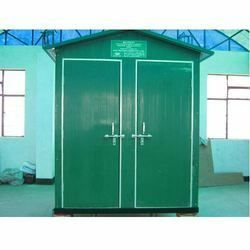 We are manufacturing Portable Cabin, Portable Toilets, Mobile Toilets, Prefabricated Toilets, from higly sophisticated machine which we have imported from abroad also the raw material is being imported for the cabin. The usp of these portable toilets are the person sitting/living inside the cabin will not feel hot or cold in the respective climate condition, as these cabin are completely insulated and fully portable.